Jump In is a three-level British-English pre-primary course with storytelling at its heart. 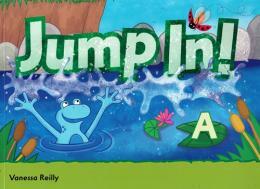 Students join Frankie the frog on his adventures immersing themselves in a fun and imaginative context for learning. Its communicative approach gets studentstalking through play and teaches social and emotional skills alongside language.